For Colleen Francis, high school was “one big rebellious blur.” It was during this period that she began gravitating toward a harder sound that would later breathe through her band Scarlett Seven. While Colleen “was always into alternative bands in high school,” she’s quick to clarify that the period of “angsty” songwriting feels behind her. What lies ahead is something new. At age 18 Colleen moved to Nashville where she began pursuing a production and engineering degree from Belmont University. Two years into her education however, she began craving the high that performing had previously given her. Built around “a mission to rage,” Colleen co-founded Scarlett Seven with classmate Austin Decker: the seven-piece band’s sound blending distorted guitars with piano and hard-hitting rhythms, all built around the theatrical base of Colleen’s past. Releasing their self-titled debut in 2013, the band’s heavy musical tone complemented the therapeutic nature of Colleen’s lyrics, much of which were based around inner and outer turmoil, landing her at a crossroads between who she was and who she wanted to be. Now looking back on that period, Colleen feels that both the sound and emotions of that era are behind her. “I really like the rock aspect of Scarlett Seven,” she says, “but I’ve always been on the pop side, myself.” Along with this musical reconfiguration — Colleen’s solo debut finds her working with Nashville neo-soul & funk band Dynamo — comes a change in lyrical focus. Her new songs are about “being free from a feeling like you have to conform,” combining playful lyricism with an evolving understanding of who she is. Songs like “Naked” represent an unveiling of her emerging personality, showcasing Colleen’s true voice as she breaks free from the darkness of her past. 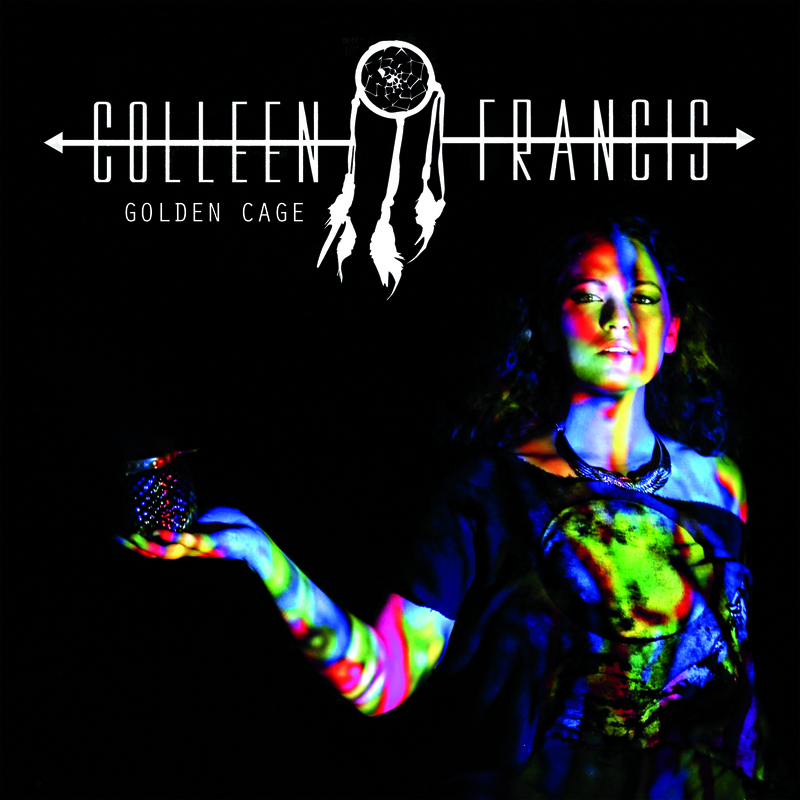 Colleen’s first solo studio album, “Golden Cage” is set to release June 30, 2015. Colleen Francis will appear on WXRY Unsigned LIVE from The British Bulldog Pub on Sunday, August 2, 2015 at 8PM. Posted on August 1, 2015, in News and Announcements and tagged British Bulldog Pub, Colleen Francis, Columbia SC, indie, local music, WXRY Unsigned. Bookmark the permalink. Leave a comment.